United at the Parliament of the World's Religions: Making Interreligious Chaplaincy Education Meaningfully Inclusive. 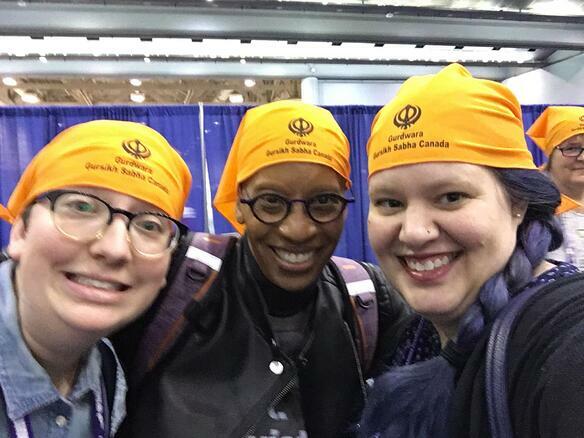 Early this November, Dr. Pamela Ayo Yetunde (Director of Interreligious Chaplaincy and Assistant Professor of Pastoral and Spiritual Care and Counseling), Jessi LeClear Vachta (Associate Director of Admissions) and a group of current students attended the 2018 Parliament of the World's Religions in Toronto, Ontario. There, they held a panel "Making Interreligious Chaplaincy Education Meaningfully Inclusive." We will be publishing content from this presentation as a series over the next few weeks. This first post is from Dr. Yetunde's opening remarks about United's commitment to interreligious chaplaincy education. Left to right: Lucia Kalinosky (student), Dr. Yetunde, Christine Ford (student). How Do You Make Interreligious Chaplaincy Education Meaningfully Inclusive? In order to make interreligious chaplaincy education meaningfully inclusive, a seminary must be nondoctrinal, adopt an interreligious chaplaincy education mission, hire faculty and staff representing other religions, admit students with diverse belief systems, and be responsive to the plurality of the community it serves. First, no professor at United signs a statement of faith. By not requiring faculty to sign a statement of faith, faculty can be diverse in beliefs, free from fear they will be fired for possessing their own authentic beliefs and free from fear they will be fired if their beliefs change over the course of their careers. A spiritually pluralistic faculty can inspire the spiritual formation of radical acceptance of others among the study body. Second, it's important to adopt an interreligious mission and not simply pay liberal, politically correct lip service to a utopian ideal of harmony across religious differences. The school must be willing to engage in and make room for religious conflict while promoting an ethos of respect. Third, in order to make interreligious chaplaincy education meaningfully inclusive, a school should hire chaplaincy staff and/or faculty from different religions. At United, the Interreligious Chaplaincy director and lead faculty person is an interfaith Buddhist practitioner. Adjunct faculty members include Christian-Lutherans, a Muslim who is also an imam and a Native American chaplain. We recently hired an executive who is a Unitarian Universalist Humanist chaplain educator. Fourth, no matter the students’ religious background, they are invited to contribute their perspectives, resources and energies toward a robustly pluralistic dynamic that inspires curiosity and interreligious and intercultural competence in spiritual care. This dynamic cannot be created by simply reading books authored by people from traditions other than our own. People from traditions other than our own must actually be in the classroom, not as objects, but as subjects contributing to our competency while also being spiritually formed in the cauldron of difference. Fifth, United is located in a religiously and non-religiously pluralistic region – the cities of St. Paul and Minneapolis in Minnesota, United States. Through our hospitals, hospice organizations, universities and also prisons, many people will eventually meet and need a chaplain, so we want to prepare our chaplain students for the varieties of people and contexts. When a chaplaincy student graduates from our MDiv program, we want others to know they have been educated to be religiously and nonreligiously adept, personable, caring, compassionate, wise, creative, justice-oriented and intelligent. Pamela Ayo Yetunde is Assistant Professor of Pastoral and Spiritual Care and Counseling at United Theological Seminary of the Twin Cities. 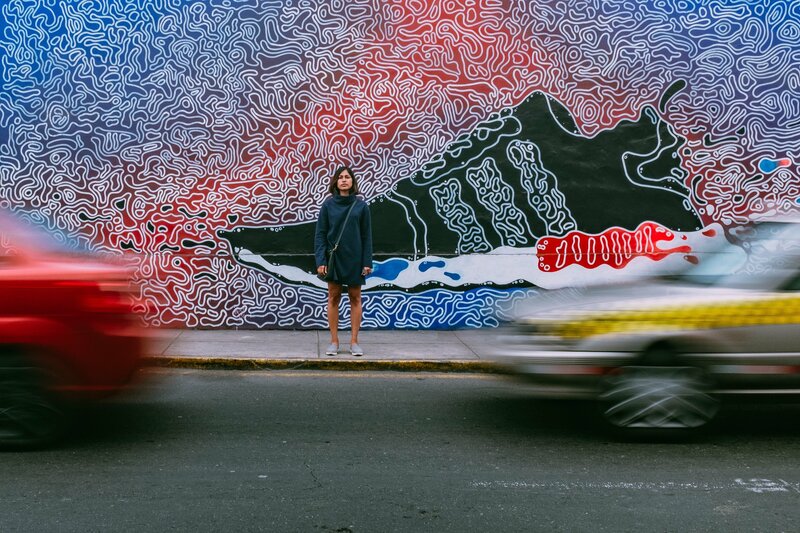 She came to United in 2017. She received her Th.D. from Columbia Theological Seminary in Decatur, GA, where she specialized in pastoral counseling. Her research and scholarship focus on Object Relations Theory and psychotherapy, Buddhist psychology, Womanist Theology, Christian-Buddhist spiritual transitional stages, Black lesbian poet Audre Lorde as a spiritual and psychological resource, and chaplain formation. Yetunde has published a number of blog and magazine articles and has written journal articles (to be published in 2017). Yetunde lives in Minnesota with her spouse. She is an interfaith Buddhist practitioner.